The new FSA45 compact lithium-ion battery trimmer is perfect for simple trimming work around the home and garden. 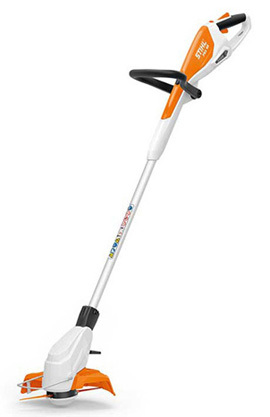 The unit comes with an intergrated 18 V lithium-ion battery with charge level indicator and tool-less adjustable shaft. The loop handle can be positioned to six working angles over an arc of 120 deg. The pivoting cutting head can also be set to four differant angles.